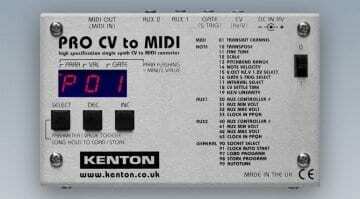 In a stunning update to the Mk2 Kenton pull out all the stops for an eclectic take on the art and design of MIDI to CV conversion. No, just kidding, Kenton makes dull looking silver boxes that do incredibly useful things incredibly well. 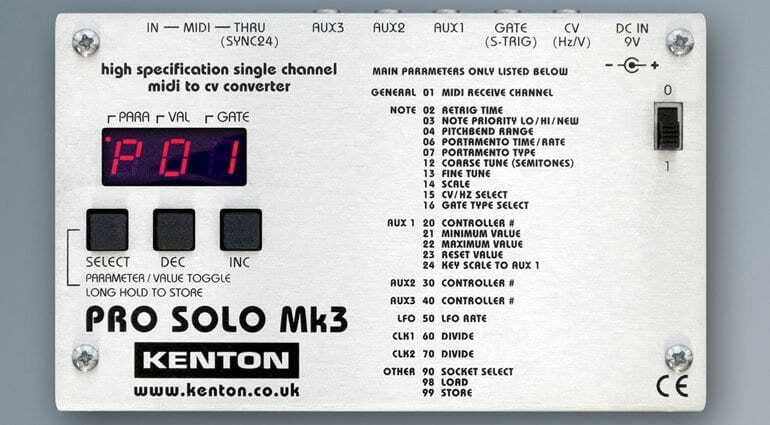 The Pro Solo Mk3 doesn’t look very exciting but it’s undoubtedly the best box for taking a MIDI signal from a keyboard or controller and plumbing it into an analogue, voltage controlled synthesizer. 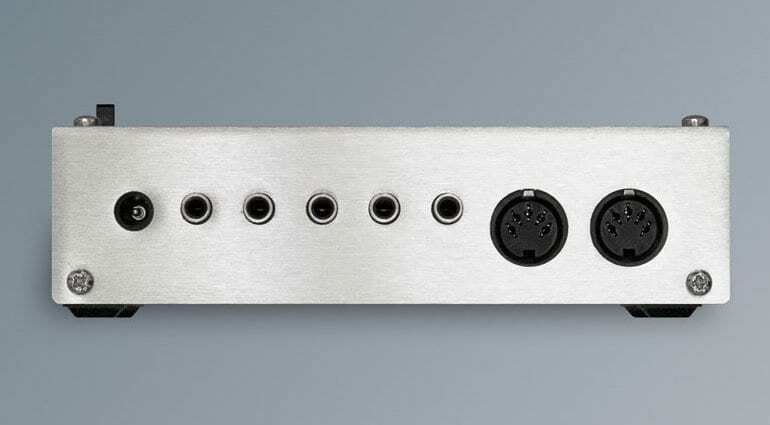 It’s the ideal device for connecting your MIDI and analogue worlds. Built to a very high specification and housed in a road-worthy silver box the Pro Solo Mk3 is just the job for getting MIDI control into synthesizers that don’t have any. The idea is that you plug a MIDI keyboard in one end and then the Pro Solo interprets that into multiple CV outputs at the other. Among the new features in the Mk3 are additional auxiliary outputs that can be whatever kind of signal you want. 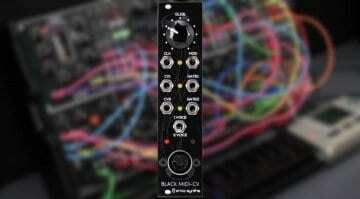 You could take CV converted from the mod wheel or aftertouch, or perhaps use them as drum triggers which is another new feature. They also have adjustable slew rates to smooth out any controller jumps. The Pro Solo can also now generate ADSR envelopes in response to MIDI CCs. 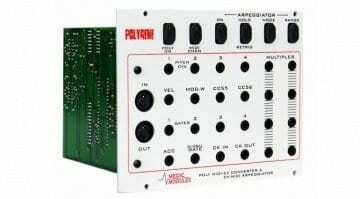 There are now dual clock dividers that can be used simultaneously on different outputs including the MIDI output if it’s not already in use. Pitchbend has been boosted to 48 notes up and down. There are 32 program memories and they can now be recalled using MIDI program change messages. 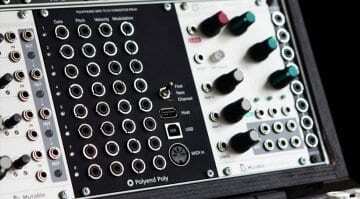 Although you often find MIDI-to-CV conversion in Eurorack form the Pro Solo Mk3 offers a more versatile solution whether you are working with modular synths or not. It’s also relatively good value at £158.40 inc VAT. The Pro Solo Mk3 is available now and you can always paint it to add some pizazz. 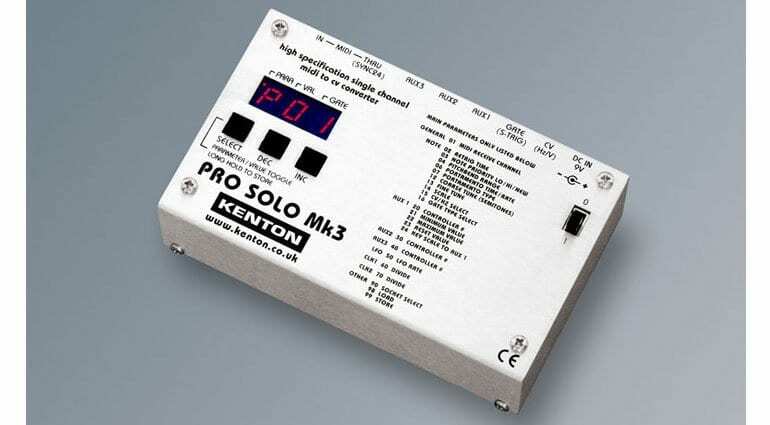 Kenton Pro Solo Mk3 webpage.